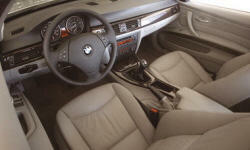 Why the 2011 BMW 3-Series? Takes corners like its on rails. 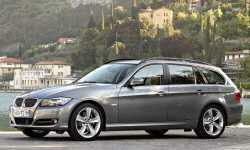 Why Not the 2011 BMW 3-Series? Excessive rear tire wear after less than 14K miles. A fun car to drive. Hardtop-to-convertible transistion is very quiet, and fascinating to watch: amazing design and engineering. Was disappointed about the rear tire wear after so few miles (less than 14K): had to replace both rear tires. Hoping this won't repeat before my lease is up (another 13 months).